Albany, NY - November 21st, 2013 - Governor Andrew M. Cuomo today encouraged New Yorkers to take advantage of the state’s revamped “Pride of New York” website, located at www.prideofny.com, to search for the best in locally grown and produced New York State food and beverage products this upcoming holiday season. “Pride of New York” is the state’s branding program for the promotion of New York food, beverage and agricultural products. It is an important component of Governor Cuomo’s Taste NY initiative, which is dedicated to bringing to New Yorkers the best products grown and made in the state. In October of this year, Governor Cuomo unveiled the “Pride of New York” Pledge, a new initiative that encourages restaurants and chefs across the state to increase their use of New York products by 10 percent or more. 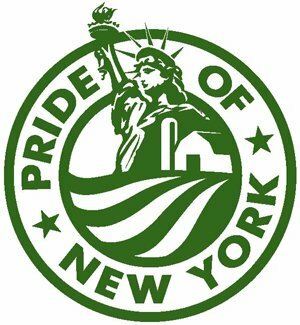 The newly-redesigned “Pride of New York” website allows people to conduct specific searches of databases from the New York State Department of Agriculture and Markets in a user friendly format. Searchers first choose from among the main categories, such as Agritourism, Baked Goods, Dairy, Nursery/Plants, and Seafood. They can then choose the type of business they’re looking for, whether it’s a retail outlet, a restaurant, a farm, a manufacturer, or several other classifications. They then give their zip code and choose how far they’re willing to travel. There is an additional option for those who would like directions to the location. The website also features a map and list showing various search results, which include addresses and contact information of each establishment. There are more than 3,000 members of the “Pride of New York” program listed in this database along with numerous other agribusinesses. Subject: LongIsland.com - Your Name sent you Article details of "Governor Cuomo Encourages New Yorkers to use "Pride of New York" Website to Find Local Food and Beverage Products This Holiday Season"